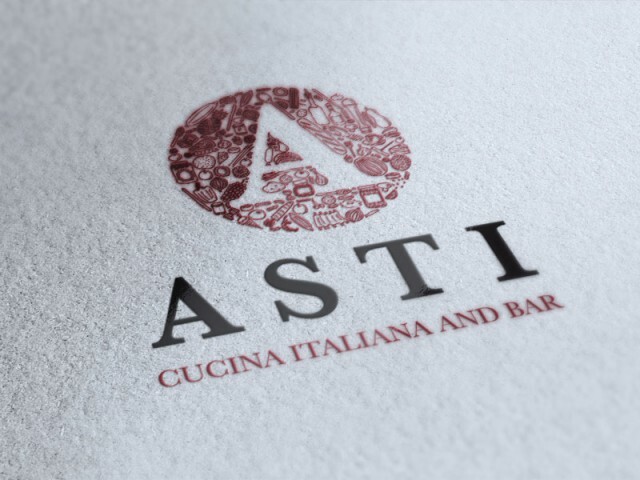 When you walk into Asti it is like walking into a friend’s smart living room. It’s sleek and stylish yet at the same time homely and relaxed. Our logo is therefore a combination of these elements. From a distance the logo looks very intricate and professional but upon closer examination you can see it is comprised of a collage of hand-drawn ingredients and kitchen items. Smart with a soft edge.